West Ham striker Javier Hernandez reportedly snubbed the chance to seal a transfer back to Real Madrid this summer, according to surprise claims in Spain. The Mexico international has not exactly had the best of times since moving to West Ham, despite generally impressing in his career at clubs like Manchester United and Bayer Leverkusen. Hernandez also spent a season on loan at Real Madrid in 2014/15, and Don Balon claim the club still hold him in high regard due to his work rate and decent scoring record. The 30-year-old is claimed, however, to have turned Madrid down as Don Balon claim he was in talks with Besiktas, who would have offered him more money. A new signing up front was a priority for Real this summer after losing Cristiano Ronaldo to Juventus, and with Karim Benzema looking past his best. 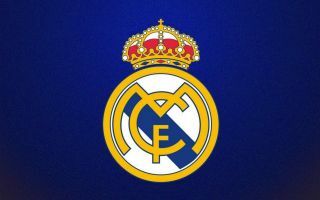 In the end, the Spanish giants brought in Mariano Diaz from Lyon, though Los Blancos fans may be disappointed not to see a bigger name come in. Don Balon also note links with the likes of Kylian Mbappe, Edinson Cavani and Robert Lewandowski, though none of these came to fruition.